Coded Couture uses Android to make a dress based on your favorite activities and places. Most fashion isn't truly personal unless you design it yourself, and most people aren't about to fire up a sewing machine to make that happen. However, you might only need your phone to get a custom look in the future. 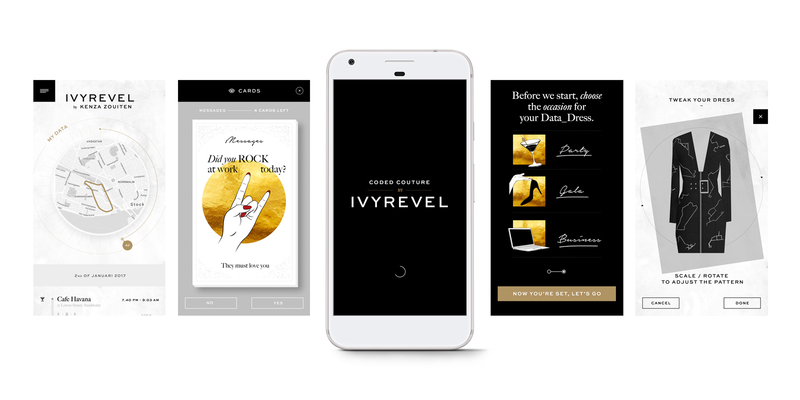 Google and H&M's Ivyrevel label are working on a Coded Couture app that uses Android's passive sensing abilities (the Awareness API) to design a dress around your activities. Grant the app permission and it'll generate business, gala and party dresses based on your favorite places, your fitness routine and even the typical weather -- in a sense, you really are wearing your heart on your sleeve. The only requirement is that you keep your phone with you. And this isn't just an experiment. The "Coded Couture" app is in closed alpha testing right now, but you can sign up for a shot at a pre-release trial ahead of a public launch sometime in the fall. There's no word on how much a typical dress will cost, or whether or not other apparel is coming (custom shirts, please! ), but it might be worth a small premium to have a truly one-of-a-kind outfit.